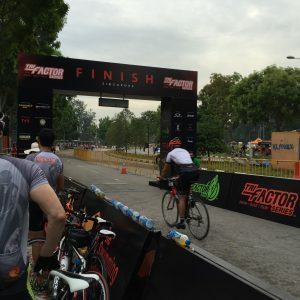 Race Review: TRI-Factor Bike 2016 [56km] (by 'hedgiebunny') | JustRunLah! 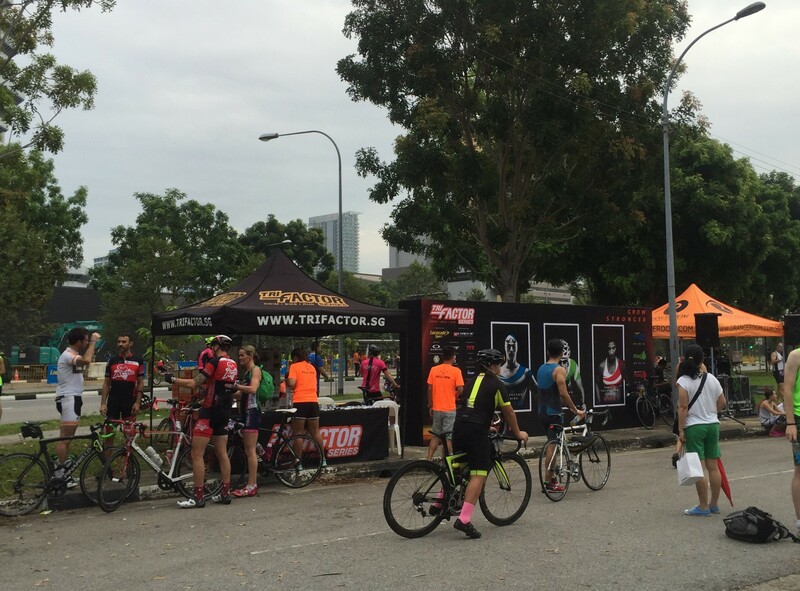 Today’s TRI-Factor Bike race marks the 2nd leg of the TRI-Factor Series. 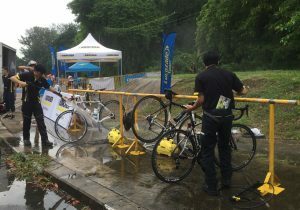 One could choose from categories ranging from 5km to 56km and the organisers also added new categories of the Cycle Run Challenge (bike-run-bike) this year. 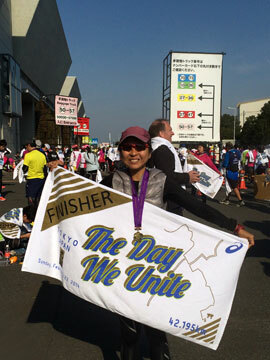 It was the first time that I am participating in the 56km category and it was also the longest distance I have ever clocked. Naturally, I was anxious as I had never cycled this distance in my life and did not train specifically for this race (yikes, again!). But I made sure to do what participants usually do to prep before a race – i.e. read all the rules and regulations, check out the route (including how to get there), tag my bike (this unfortunately took a long time as I had mini-brakes on my handle bars and the tag had to be hung there), eat and hydrate wisely, and rest early. This morning, I awoke at 4am and made my way down to the event site, which was somewhere along Republic Avenue and behind the Nicoll Highway MRT. It was still very dark and it took me some time to figure out directions and where the start point was. Despite the cool weather, I was perspiring! It was a pleasant surprise to be offered Lucozade (by a guy carrying a mobile kit) to quench my thirst. It was rather dark when we flagged off and front and rear lights were compulsory. 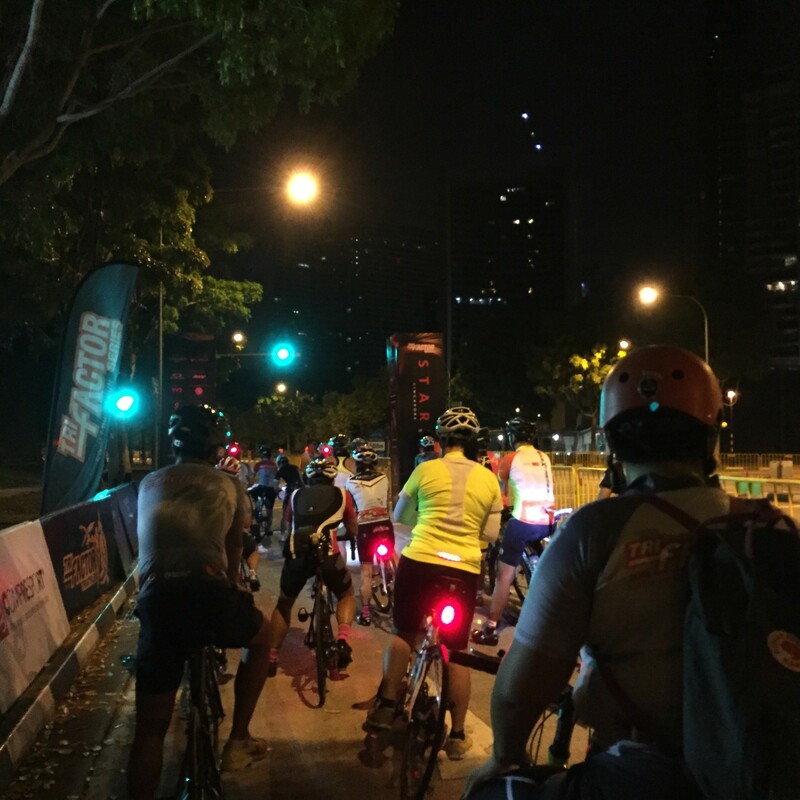 The race flagged off with all the 56km riders first, and my wave – the Women’s Open – was the 5th group to be flagged off at about 5.25am. I looked around me and realised that there were very few female cyclists in my category, where are all the women? Anyway, I smiled at the two girls next to me and we wished each other well before taking off. To make up the distance of 56km, we had to do 8 loops of 7km each. The first U-turn point was less than 1km away and I think the organisers purposely put it there so one does not speed up too much at the start. 😛 There were 4 U-turn points per loop so I did feel a little dizzy having to do a total of 32 U-turns after 8 loops! And, if I did not have my odometer clipped on, I probably would have lost count on the number of loops I had completed. 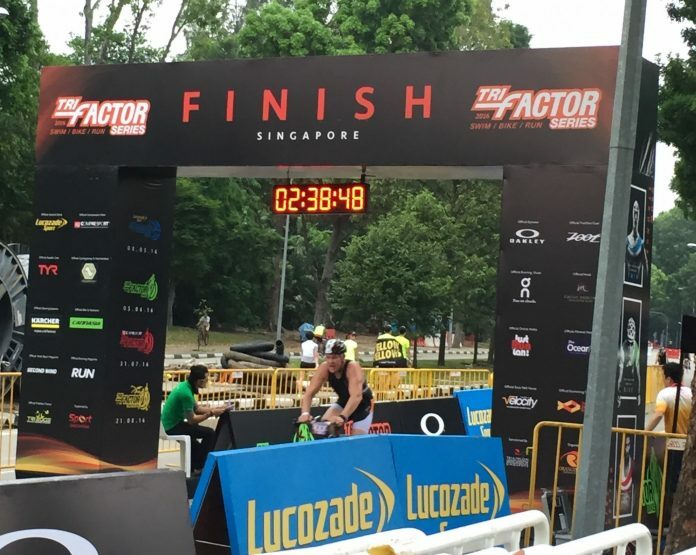 The route was not as flat as compared to racing at East Coast Park as Nicoll Highway is slightly elevated in the centre and the Crawford road U-turn point is on the top of a slope. While this is a common running route, runners usually do not have to do 8 loops of it. For me, slopes are a killer. Thus, to keep going, the key for me was to conserve energy and not go all out in the first few loops.